Narelle: My Bible study group recently decided to do something different and use The Reason for God DVD study series. There were six sessions that looked at issues people find difficult to deal with when exploring Christianity. It was fascinating to hear the views held by the panelists and to learn why they struggled with various issues. At times we were a little frustrated because the conversations were edited to fit into the DVD time schedule, although we appreciated the fact that the DVD sessions were relatively short and concise. We would have liked to have heard more details from a few of the panelists on certain discussion points. Timothy Keller did a great job in moderating the panel and drawing out the essence of each discussion topic. After we watched each session, we worked through the discussion points in the study guide and learned a lot through our conversations. I recommend this DVD study series to groups looking to learn how to answer many of the tough questions asked by people interested in exploring the Christian faith. In the New York Times bestselling book The Reason for God, Timothy Keller established himself as a modern-day C. S. Lewis who brings together faith and intellect, theology and popular culture, modern-day objections and historic Christian beliefs. Now fans of the book will find resources to help them engage with those same objections, drawing on recent scholarship and debates. The Reason for God curriculum can be used individually, in groups, or by any believer who is engaging with friends who don’t share his or her beliefs. Christians will be challenged to wrestle with their friends and neighbors’ hardest questions, and to engage those questions in ways that will spark an honest, enriching, and humbling dialogue. 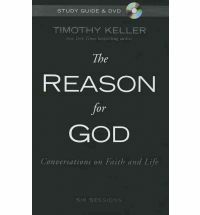 The Reason for God DVD captures a live and unscripted conversation between Timothy Keller and six panelists discussing their objections to Christianity. The discussion guide will help small groups and individuals dig deeper into these objections and learn about both sides of the issues. Curriculum Details: Session Titles and Descriptions: 1. Isn’t the Bible a Myth? 2. How Can You Say There Is Only One Way to God? 3. What Gives You the Right to Tell Me How to Live My Life? 4. Why Does God Allow Suffering? 5. Why Is the Church Responsible for So Much Injustice? 6. How Can God Be Full of Love and Wrath at the Same Time? This book tells the story of a hurting family, an amazing little girl and a mysteriously faithful God. Emily wasn’t born perfect – so one might think. She was born with Down Syndrome and many would jump to the conclusion that she would have very little hope for a life with any significance. Two years later came the diagnosis of leukemia. What little hope remaining turned to no hope whatsoever – or so one might think. Narelle: One evening I started reading this true story on my Kindle, intent on reading only a couple of pages because my alarm was set for 5.30am. Instead, I read My Emily in one sitting, transfixed by the narrative story of Emily’s short life brought to us from her father’s perspective. We walk in Matt’s shoes as he faces Emily’s Down Syndrome diagnosis when she’s a newborn and her leukemia diagnosis only a few short years later. This beautiful little girl suffered so much. We experience the gamut of her father’s emotions as he tries to make sense of what is happening to his precious Emily. He questions why God allowed this to happen to his daughter. We gain an understanding of the anguish and grief mixed in with love and blessings as a brave little girl touches the lives of many people. This story provided me with an insight into the grief and heartache experienced by parents who lose a child. My mother’s younger sister passed away at a similar age to Emily from a sudden illness. 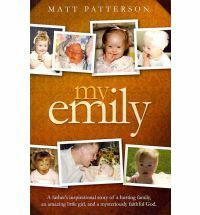 After reading My Emily, I have a greater understanding of how this devastating loss impacted the lives of my grandparents and the whole family. I highly recommend this book, especially to those looking to support a grieving friend or loved one. Narelle: In Francine River’s fictionalised account of Rahab’s story, she casts Salmon, Rahab’s future husband, in the role of one of the Israelite spies who Rahab hides in her home from the king of Jericho. We journey with Rahab and Salmon as the Israelites conquer the mighty city of Jericho. Rahab is a harlot who rejects the Canaanite gods of her family and homeland. Instead, she chooses to embrace the God of the Israelites and turn her life around. 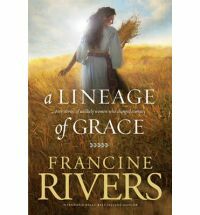 Rahab’s story is one of incredible courage and faith and I recommend this novella collection to those looking for exciting and insightful Biblical fiction stories. Rahab does not seem like the type of person to be included in the genealogy of God’s son, or the book of Hebrews list of the faithful, but she is mentioned in both. The first thing we learn about Rahab in Joshua chapter 2 is that she is a prostitute. The next few things are that she is a traitor and a liar. But as the story unfolds we realise that Rahab has heard of the true God who is the “God of Heaven and Earth”. Like all the people of Jericho, Rahab has come to fear the God of the Israelites. But alone among these Canaanite people living in Jericho, Rahab asks to be saved from the coming destruction and puts her faith in the Lord, risking her life to defy her own king and hide the Israelite spies. The sign chosen by the spies is a scarlet cord, not to show Rahab lives in a “red-light district”, but as a symbol of the Passover which the men celebrate as they prepare for battle. Like the slaves in Egypt, the cord in Rahab’s window marks her as one who will be passed over on the day of destruction, to be redeemed when salvation comes. In his first letter, Peter reminds his readers that they, like Rahab, are to see themselves as “strangers in the world”. The deadline to enter our June Bible Quiz and eBook giveaway is midnight on JUNE 25 AEST. Community Day: How can you get involved? Narelle here. Friday is our Community Day on the blog and each Friday we’d like to focus our posts on small groups. Our goal is to feature groups from all around the world. Each group is different and we’d like to know what it is that you love about your group. What makes your group unique and why do you think it’s important to meet together to study the Bible? We’d love to hear from you and learn more about your group. Please contact us at: community [at] 30minutebiblestudies [dot] com if you’d like more information on how your group could be featured in one of our Community Day posts. 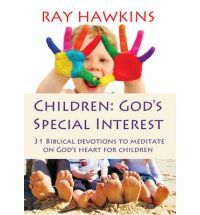 Congratulations to Heidi who is the winner of Ray Hawkins’ devotion book Children: God’s Special Interest. You all have until midnight on Monday, June 25 (AEST) to enter our June Bible Quiz. We’re giving away two copies of our People of the Old Testament: Judah and Tamar, Rahab eBook leader’s guide. One copy to the quiz winner and a second copy to someone who comments on the June 20 Bible Quiz post and attempts to answer at least one of the quiz questions. More information can be found on our June 20 Bible Quiz and eBook giveaway post .